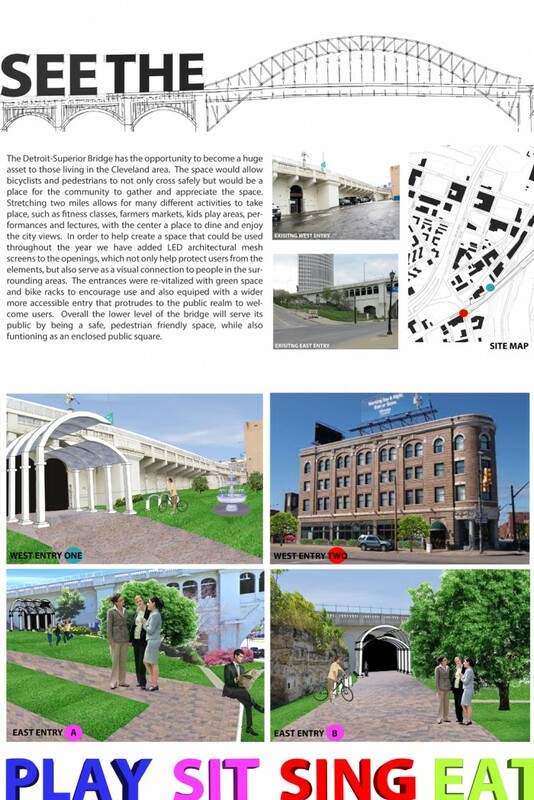 Overview: The Detroit-Superior Bridge has the opportunity to become a huge asset to those living in the Cleveland area. 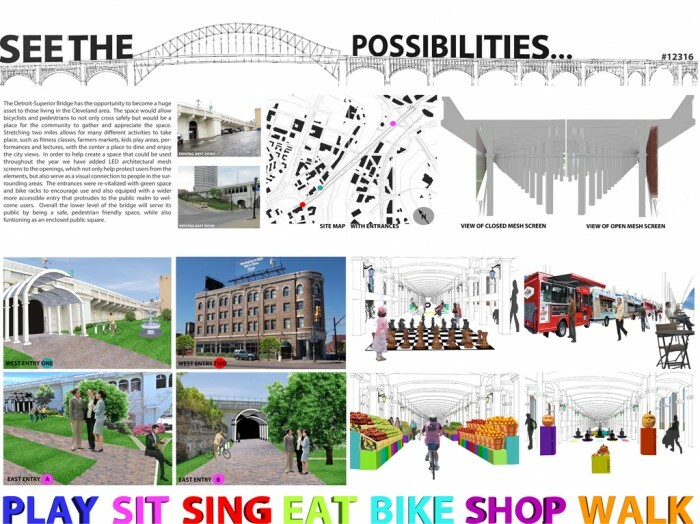 The space would allow bicyclists and pedestrians to not only cross safely but would be a place for the community to gather and appreciate the space. Stretching two miles allows for many different activities to take place, such fitness classes, farmers markets, kids play areas, performances and lectures, with the center a place to dine and enjoy the city views. 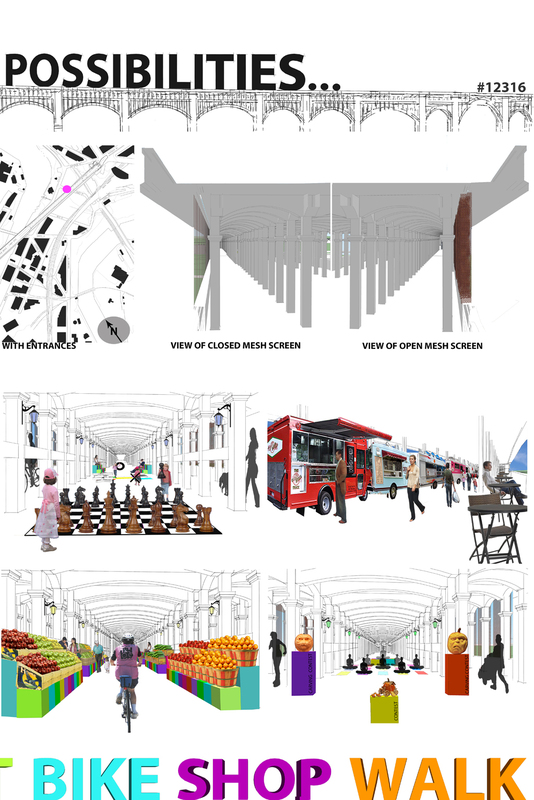 In order to help create a space that could be used throughout the year we have added LED architectural mesh screens to the openings, which not only help protect users from the elements, but also serve as a visual connection to people in the surrounding areas. The entrances were re-vitalized with green space and bike racks to encourage use and also equipped with a wider more accessible entry that protrudes to the public realm to welcome users. Overall the lower level of the bridge will serve its public by being a safe, pedestrian friendly space, while also functioning as an enclosed public square.